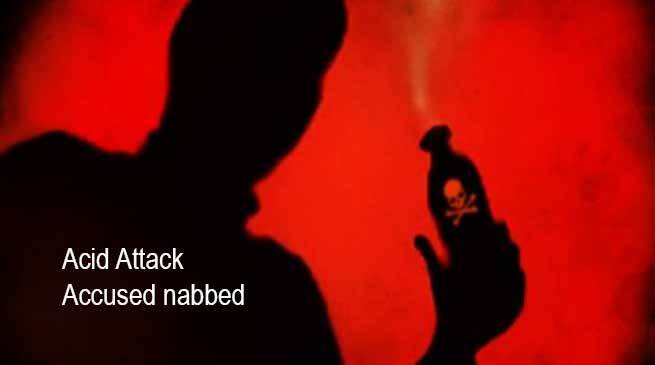 Itanagar Capital Police and Lakhimpur Police nabbed an accused involved in a case of acid throwing occurred in Lakhimpur district today. After the number of car was shared with Itanagar Police and informed that the accused had fled towards the Itanagar, the car number flashed immediately in patrolling units and nakas. On being alerted, the police personnel at Yupia tri junction intercepted the car. The four occupants in the car were found with valid ILP to be in Arunachal. Later they were handed over to Lakhimpur Police, SP Capital M Harsha Vardhan informed. On being asked whether a case is being registered or not, SP Vardhan said, case is not in Naharlagun, It is registered in Lakhimpur district of Assam. SP informed that accuse’s brother and some relatives live and work in Naharlagun, so he may have come for shelter.